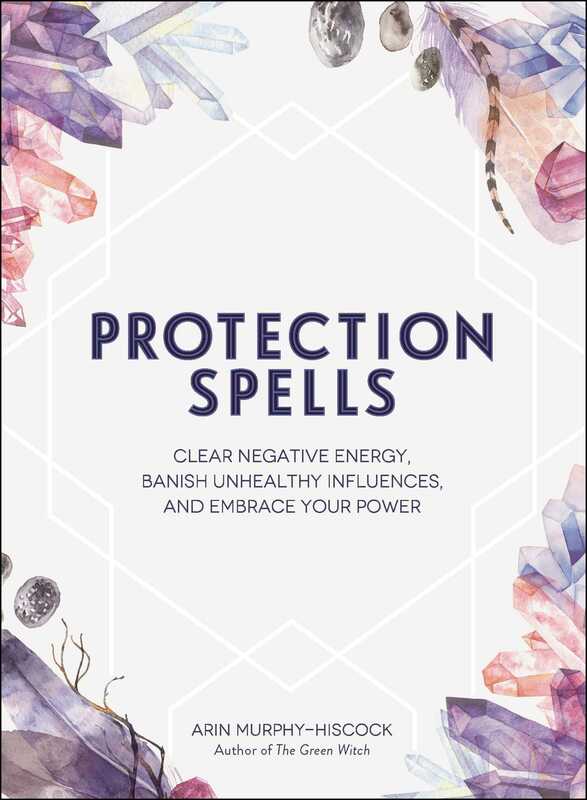 Banish bad energy, ward off unpleasant people, and defend your stuff, your spirit and your space with this spellbook focused specifically on protection. With over 100 spells for protection and defense, and a glossary of protective symbols, stones, and other objects to keep on hand, this book can help you cleanse your room and cast out old negative energies, put a protective and peace-preserving bubble around yourself as you ride the bus, deflect grumpiness and negativity from people you work with—and so much more! "The cover design is very pretty. The book gives an introduction on spell crafting and then covers spells for body and spirit, house and home, family and friends and out and about. The last section covers rituals and protective objects. Very comprehensive with some really interesting spells." "The key to any good spell book is to be able to find exactly what I'm looking for quickly. The author makes it easy for me to find purification spells, cord magic and much more with the full index in the back. I would highly recommend adding this book to your standard witchy library. I believe you won't be disappointed." "This is a fun book, as well as educational, and offers something for just about any life situation." "If she loves astrology and magic, she'll be obsessed with this new spell book from Arin Murphy-Hiscock that focuses on clearing negative energy, protecting your space, and harnessing power." "Arin Murphy-Hiscock has a truly impressive body of work on spell craft and witchery. Chances are least one of her books is an integral part of your personal library. The Way of the Hedge Witch: Rituals and Spells for Hearth and Home and The Green Witch: Your Complete Guide to the Natural Magic of Herbs, Flowers, Essential Oils, and More not only grace the shelves of many readers but the aesthetically-pleasing covers pop up all over Instagram. Her books are truly objects of beauty and knowledge." "The newly released Protection Spells by Arin Murphy-Hiscock addresses one of the most important areas of Magic today. Without adequate protection, Witches and other Psychic practitioners leave themselves open to unnecessary harm and chaos. This book contains over 100 different spells for defense and protection, so there is something here for just about everyone." "Strikingly beautiful… you will not be disappointed."